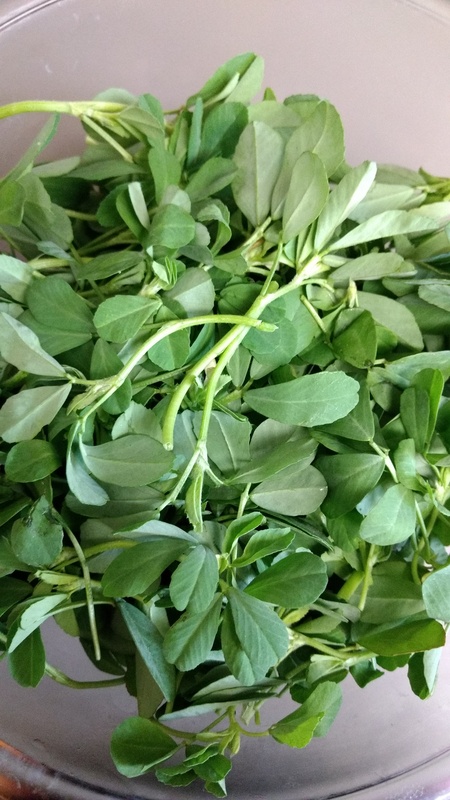 Not everybody is fond of fenugreek leaves because of their bitter taste, no matter how much healthy they are! But I feel it also depends on how you cook it; the bitter taste might turn delicious for you. 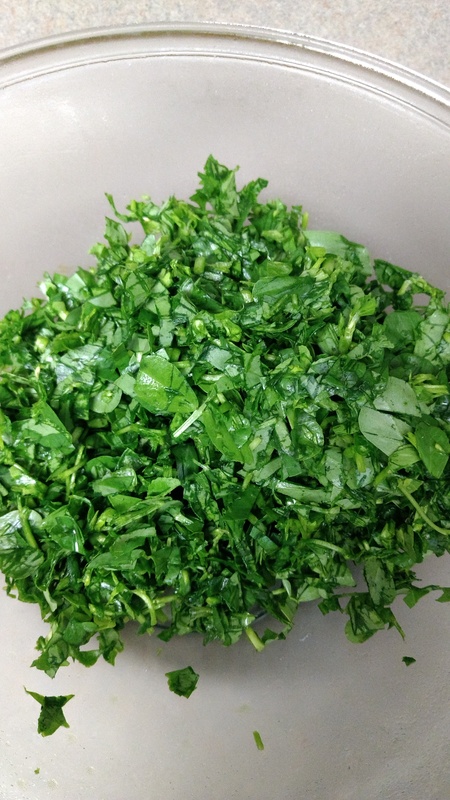 Among all green leaf vegetables, fenugreek leaves are our (me and my husband) most favorites. We prefer it in fritters form than any other. 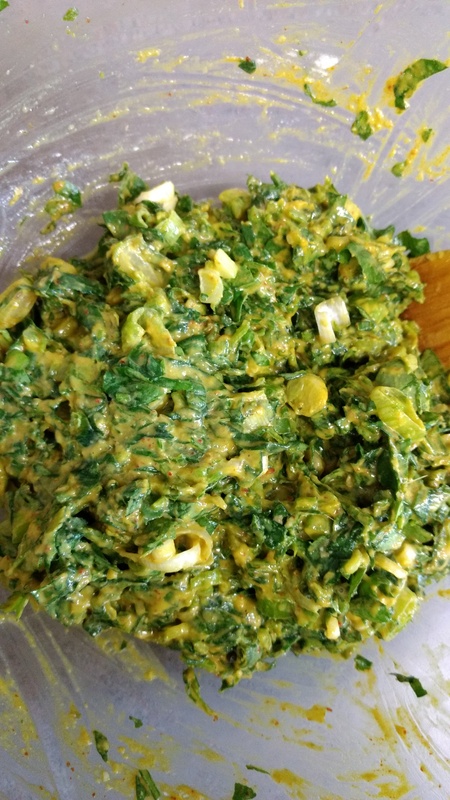 In our native place, that ranges from Vasai to Palghar district in India, we prepare this dish most of the time in winter season because we get fresh green leafy vegetables in that season. 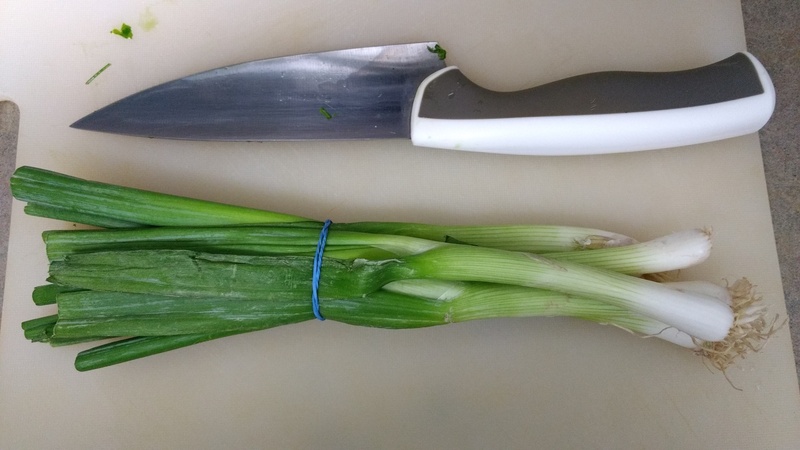 Remove the roots and hard stems. 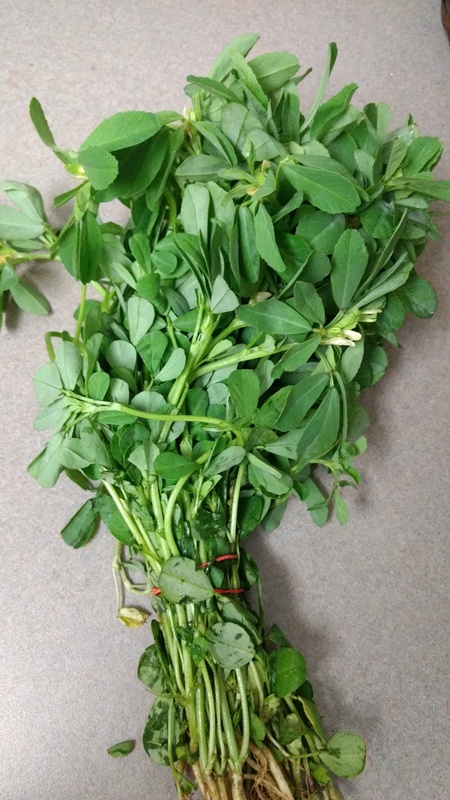 If you absolutely don’t want stems then you can just use leaves but then you have to increase the quantity of the bunch. Wash them thoroughly because there might be a chance that the leaves have dirt on them. 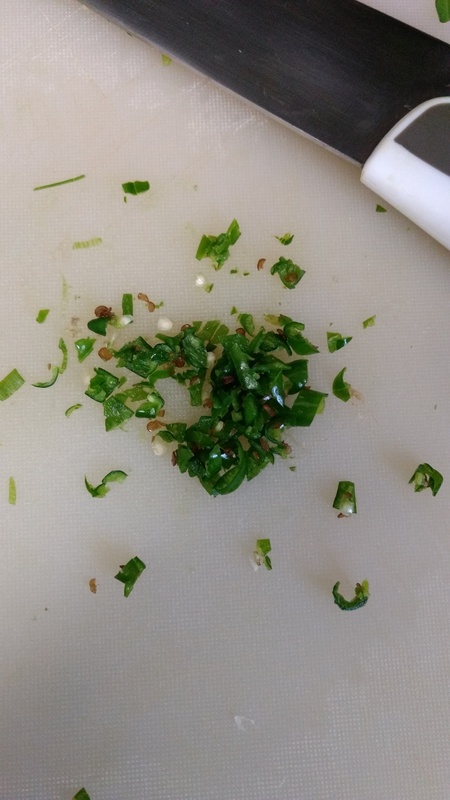 Chop it finely. 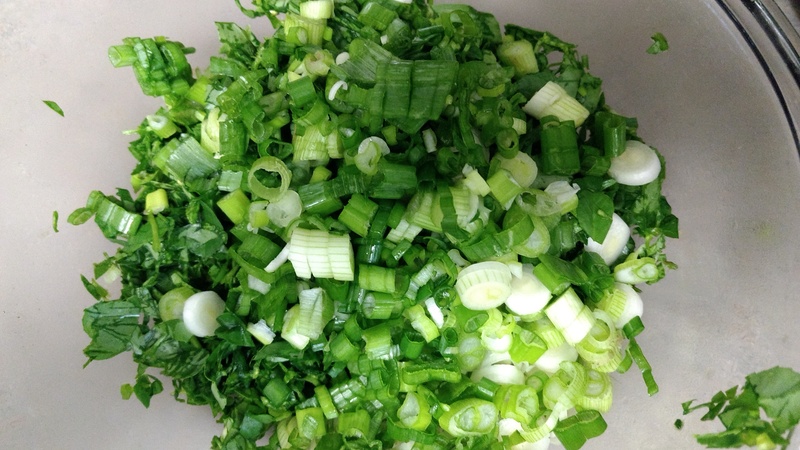 Chop spring onions and chilies finely. 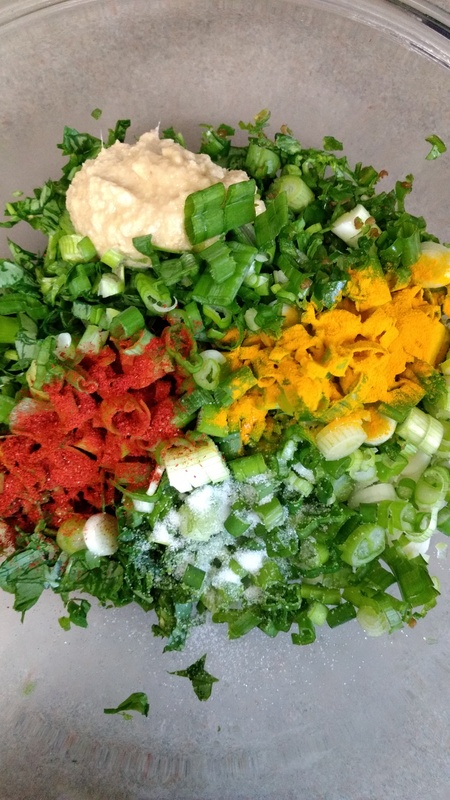 Mix all chopped vegetables in a bowl. Add ginger garlic paste, turmeric, chili powder, salt. Mix well. 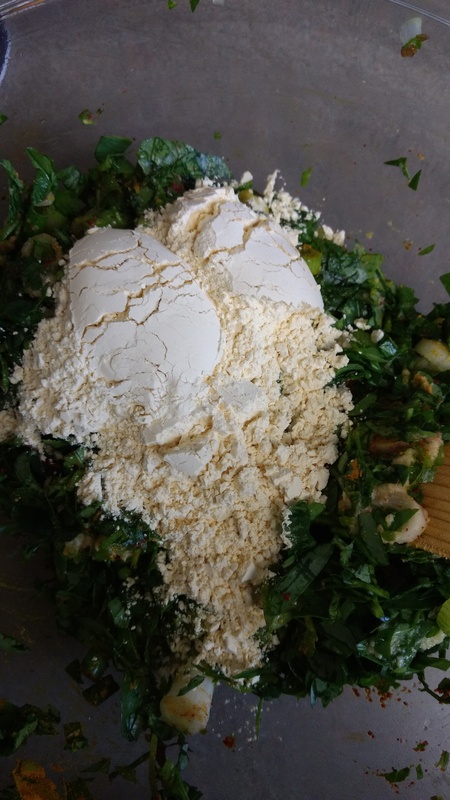 Now add gram flour and mix till everything is well blended with flour. Keep it aside for 10-15 minutes. Do not use even a drop of water to mix this batter. The moment we start mixing it, onion and salt start releasing water, which is enough to make the batter. Now again mix it well. The batter will be sticky. Hence, you cannot prepare patties with hand. There are two ways to fry these fritters. Either you can shallow fry it or deep fry. If you are willing to deep fry then using a scoop you can release batter in frying pan and fry it till it turns brown. I always prefer to shallow fry it, even though it is quite time consuming than deep frying. 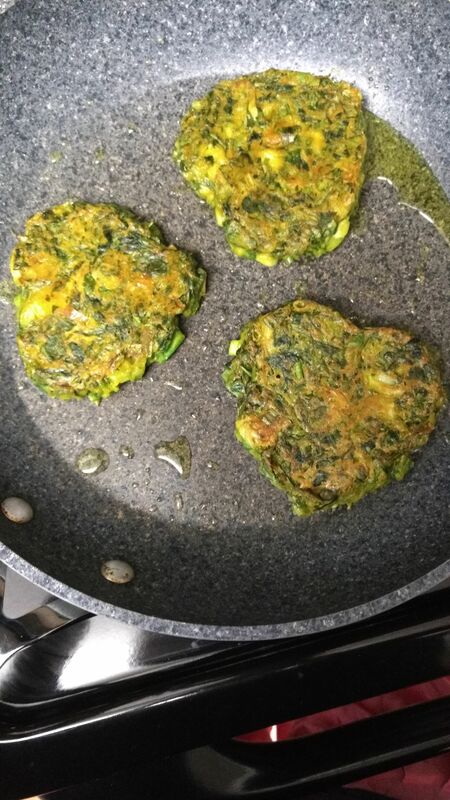 For shallow frying, heat oil in a pan and with the help of a fork, make patties in the pan directly. Flip and fry till they turn brown on both sides. This entry was posted in Appetizer, Snack and tagged fenugreek, food, foodblog, fritters, indian, konkani, vegan, vegetarian. Bookmark the permalink. Awesome!! This will be my monsoon dish 😉 good to have it on a cozy rainy day ! !